Hundreds of jobs are reported to be created in a £200 million development by the European banking giant Santander as they move their UK computing operations to Carlton Park, in Narborough. Santander say the planned move shows its commitment to maintaining its Leicestershire operation as one of its key bases. Last month the EYE reported on encouraging words from Santander’s C.E.O. Ana Botín who, during a visit to the Carlton Park facility, indicated “..the company’s intention to make Leicester – and the Carlton Park office – a ‘main site’ within the group”. Simon Lloyd, director of human resources told local media: “Carlton Park is one of the most important sites for Santander and its operations in the UK. It is understood the full spend on the site, which the company gained when it bought out Alliance and Leicester in 2008, will be closer to £200 million. “The proposals include two new buildings and there will be hundreds of jobs created there, plus significant jobs in the local area during the two to three years it takes to build. The bank currently employs around 2,000 people in its Carlton Park operation. The existing office space used to be the headquarters of the Alliance and Leicester prior to the buy-out by Santander. A public exhibition to show local residents the planned development is scheduled to take place at Narborough Parish Hall, Desford Road, Narborough, from 10am to 8pm next Tuesday. 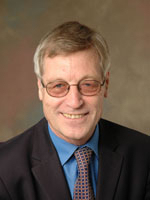 Coun Ernie White, leader of Blaby District Council commented saying the development prooved that the area was a good place to do business going on to add that companies such as Next at Enderby, HSBC and RBS at Grove Park, and the Marriott Hotel at Fosse Park, showed it had weathered the recession well. Communication Workers Union spokesman Nigel Cockgrove says the union will be working closely with the company in the coming months. The group, comprises the Bradford & Bingley and Abbey businesses as well as the former Alliance & Leicester, unveiled a “solid” first quarter in April. Santander UK says it now has four areas of focus: becoming a more customer- driven retail banking business, improving customer satisfaction and service quality, diversifying their business mix and expanding their growing SME (small, medium-sized enterprise) customer franchise. In the last six months 200 jobs have been created at Narborough’s Carlton Park offices.